You can follow these steps below to enable Whatsapp Button which allows you to engage with your guests directly on your website. This feature is enabled only for our New Star theme. 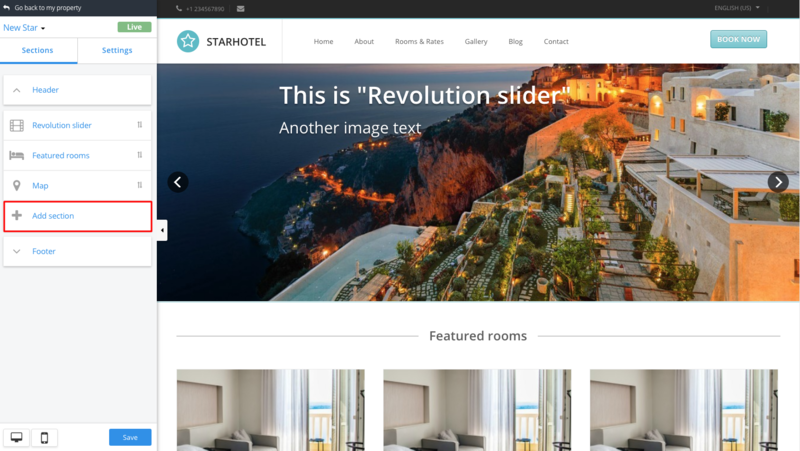 Please go to the top menu at the HotelRunner dashboard and click Channels > Website > New Star Theme > Customization. Please follow the Sections on the left and click + Add Section. There are many options for you to customize your New Star theme here. Please click + Whatsapp Button. Set all the necessary details for your Whatsapp Button and click Save.